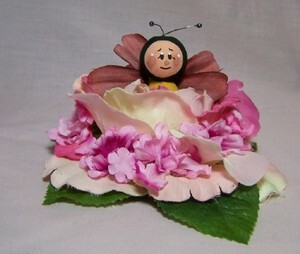 This bee is happy with burgundy wings in a varied pink silk flower. There are green leaves below it and it sits on a nice wood base. 3" high by 6" wide. Made by my sister!